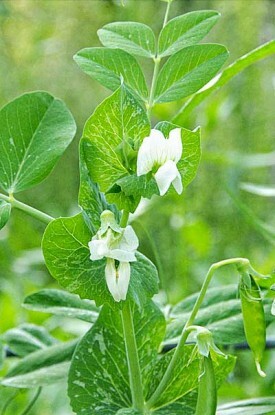 It’s still snow pea season here at our Missouri farm, though barely. With afternoon temperatures reaching the low 90s, our stand of Blizzard snow peas probably won’t last much longer. If the heat doesn’t get them, the powdery mildew soon will. We’ve been picking after the dew dries and carefully avoiding the areas where the mold has been spotted in an effort to get another week or so from the patch. Even so, we’re only delaying the inevitable. 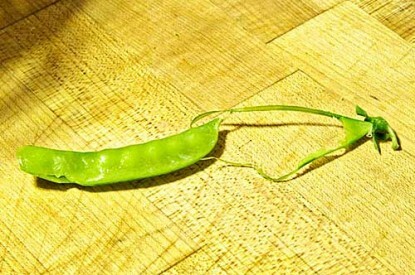 Until then, I intend to savor every last snow pea pod. My favorite snow pea recipe isn’t much of a recipe. I like them best fresh picked while I’m standing in the middle of the garden. I like them steamed, too, and gently stir-fried with chicken, beef, or shrimp. 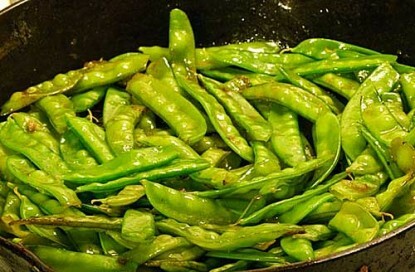 My favorite way to cook them is Snow Peas with Caramelized Onions. 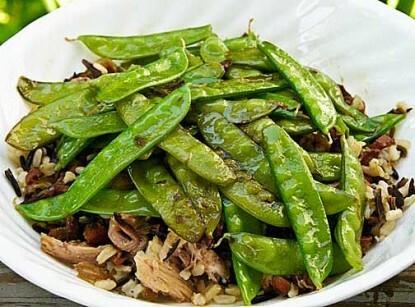 It’s a flexible recipe, more of a general way of cooking the snow peas than a specific cookbook style formula. It starts with picking the peas and trying your best to not to eat them all before you get to the house. Onions are a requirement, but beyond that, there are no hard and fast rules. To make Snow Peas with Caramelized Onions exactly like I did the other night, you’ll need two onions, coarsely chopped, and about an equal amount of chopped carrots. Melt a generous portion of butter in a skillet. (Olive oil works just as well for those of you watching your cholesterol.) Add salt and pepper to taste. Rosemary is good, too. Or a bit of cayenne if you’re in a spicy mood. Cook the onions and carrots on medium low heat until they’re mushy soft and browning. At this point, the sugar in the onions has overwhelmed that characteristically strong onion flavor. I used two medium-sized yellow onions that were sprouting. That’s because those two needed to be used, not because of any specific recipe requirements. The carrots had seen better days and needed to be used soon, too. Most nights, I’m pretty much a seat-of-the-pants cook. I like to use what’s on hand or in season, and I like to improvise — within reason and good taste, of course. Some food combinations are not meant to be. When the onions and carrots are finished, scoop them into a bowl. Add a bit more butter or olive oil to the skillet, then toss in the snow peas. When using home picked snow peas, I add the thicker ones first and let them cook for a minute or two before adding the smaller, thin, sweetest ones. Toss the peas in the butter (or oil) until they’re shiny and well-coated. Then stir every 30 seconds or so to keep them cooking evenly. They’ll pick up a bit of brown color from the residue of the caramelized onion and carrot mixture. I think of it as an extra layer of flavor. When peas are thoroughly hot, but still have a slight bit of crunch, remove the skillet from the heat. I added chunks of rabbit meat I canned last fall to mine. Stir-fried chicken strips, beef strips, or shrimp will work, too, and creates a distinctly different meal. If you’re feeling particularly creative, add some sweet peas or broccoli. See the recipe here to print. You can also find LauraP at The Land of Moo. Yum. Reading this made my mouth water. Our snow peas got a bad start. Most were eaten by rabbits so the survivors are just starting to produce now. My favorite snow pea recipe is pick and stuff in mouth. 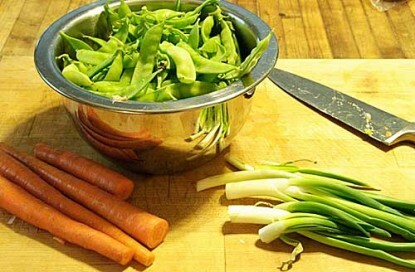 Your recipe sounds like it soon may be my second favorite snow pea recipe. Thanks for the very enjoyable post. CindyP – we must be kitchen sisters at heart. kellyb – condolences on the rabbit damage. We had a similar problem with the sweet peas this year, though the culprits were escaped calves. All that ‘trimming’ made the plants branch a lot so we’re getting a very late but very heavy crop from that section. Maybe a blessing in disguise? I love this time of year! Things are just starting to ripen in the garden and dinner is different EVERY night! Our snow peas should be ready next week. They go with just about anything from the garden and can be eaten raw or cooked. Little N helped me pick the shell peas last night and we ate them raw on a salad. MMMMMm! I practically had to force feed him spinach, but he gave thumbs up after he tried some. Thanks for the good recipe! You’re right, the peas have branced quite a bit. 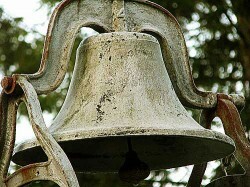 Maybe we’ll get an extra heavy crop. It has been cool the past few days but 90 degree weather and humidity is arriving Thursday.